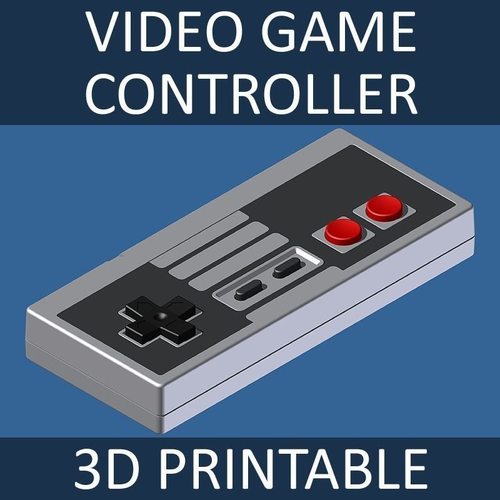 Highly-detailed vintage video game controller modeled in Inventor 2010 and provided in multiple file formats (.IPT, .STP, .STL, .3DS, .OBJ). The model is dimensionally-accurate and faithfully reproduces all visible detail. Native Inventor 2010 part file (.IPT) is included. The model has been exported in STP format, allowing it to be opened in any 3D CAD software. It has also been exported in 3DS and OBJ formats, for use in 3D graphics packages. Finally, it is provided in STL format, making it ready for 3D printing.